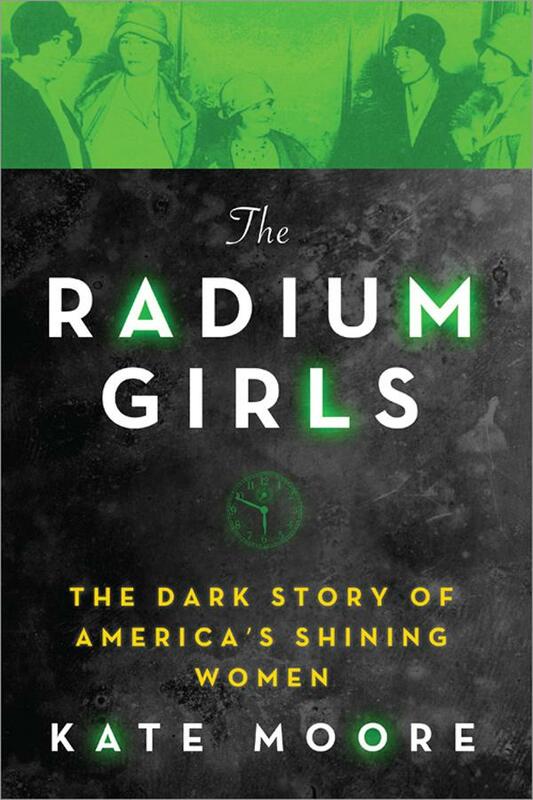 The Radium Girls: The Dark Story of America’s Shining Women by Kate Moore. May 2, 2017. Sourcebooks, 480 p. ISBN: 9781492649359. Int Lvl: AD; Rdg Lvl: AD; Lexile: 980. In 1917, the Radium Luminous Materials Corporation willingly employed young women, paid far better than most businesses, and had many enticing perks—including the glow. Radium girls, most in their teens and early twenties, painted watch dials with a luminescent paint mixed with radium dust, which clung to their hair and clothes and produced a telltale glow about them as they walked home each evening. At the time, radium was used in cancer treatments and touted in expensive tonics, so the girls didn’t question smoothing the radium-laden paintbrushes in their mouths, as instructed, or even painting their nails with them. But the women would soon suffer horrific pain and grotesquely shattered bones and teeth, and the company, it would be discovered, had known better. In 1928, just eight years after women had earned the right to vote, a group of former radium girls brought suit against the companies whose knowledge of radium’s hazards, and careless disregard for them, had endangered and harmed them. This timely book celebrates the strength of a group of women whose determination to fight improved both labor laws and scientific knowledge of radium poisoning. English author Moore, who directed a play about the girls, writes in a highly readable, narrative style, and her chronicle of these inspirational women’s lives is sure to provoke discussion—and outrage—in book groups. British author Moore (Felix the Railway Cat, 2017) takes a slice of ugly American history from nearly a century ago, telling a compelling narrative that could be ripped from recent headlines.A few years ago, while living in London, the author went online to search for “great plays for women,” and she found These Shining Lives, a play by Melanie Marnich about the radium poisonings and subsequent workplace-related deaths of factory employees, primarily in Ottawa, Illinois, and Newark, New Jersey, in the 1920s and 1930s. Eager to learn more, Moore traveled to the United States to research the deaths. She found two narrowly focused, quasi-academic books about the saga but nothing for general audiences. Deciding to focus on the employers, the United States Radium Corporation in New Jersey and the Radium Dial Company in Illinois, Moore alternates chapters focusing on more than 15 women employed in Newark and a dozen women in Ottawa. Each one of them became sick from their piecework painting numerals on clock faces using a radium-infused radioactive substance that allowed the products to glow in the dark. Many of the employees died while in their 20s and 30s after years of agonizing illnesses. The employers, as well as the scientists and physicians attending to the women, denied liability for the suffering and deaths. At first, the employers claimed that the radium was benign. Later, when the toxicity had been documented, the employers blamed the women workers for careless use even though the women were observing workplace protocols. Moore clearly separates the heroines from the villains throughout this deeply researched book, and she never masks her outrage. A handful of physicians, public health investigators, and lawyers obtained some monetary awards for the victims, but the money was far from sufficient for adequate justice.Moore offers such vivid portraits of suffering that certain passages can be difficult to read, but this is an important story well told. 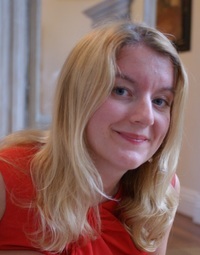 Kate Moore is a New York Times best selling writer with more than a decade’s experience writing and ghosting across varying genres, including memoir, biography, and history. In 2015 she directed a critically acclaimed play about the Radium Girls called ‘These Shining Lives.’ She lives in the UK.